Home » Government » Departments » Emergency Management » Do you have a pool? Never take your eyes off children in the water—not for a minute! 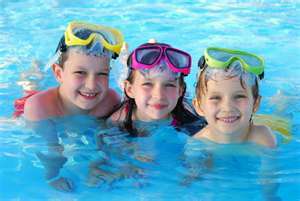 The CPSC estimates that each year nearly 300 children younger than five drown in Swimming pools and spas and more than 3,200 children that age go to hospital Emergency rooms due to submersion injuries in pools and spas. Entrapment caused by powerful suction from a pool or spa’s drain can trap a child or adult. Do not use a pool or spa if there are broken or missing drain covers. Have a great summer and stay safe! !